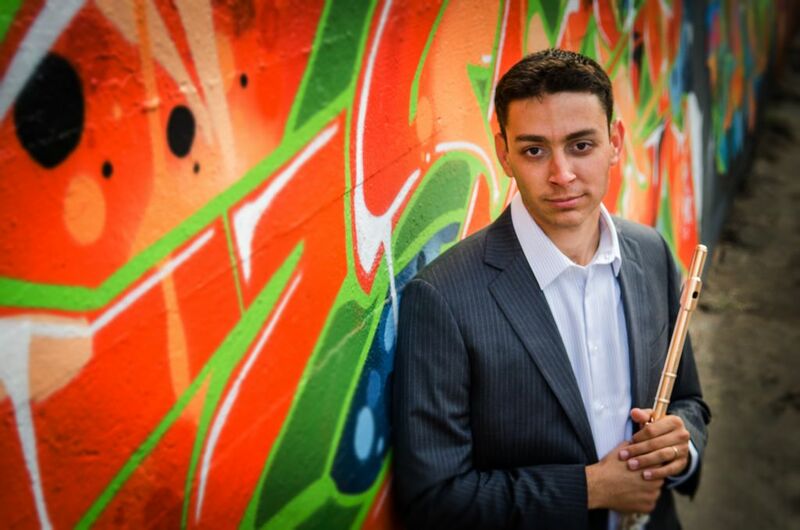 A San Diego native, James began his flute studies at age age ten. He has competed successfully in many competitions, including winning second place at San Diego Flute Guild Young Artist Competition (2011), first place at the Tuesday Musical Association in Ohio (2011), as well receiving scholarships the Musical Merit Foundation of Greater San Diego (2006, 2009, 2011, & 2012). He made his solo debut in 2004, performing for the La Jolla Music Society’s Young Artist Series. Additionally, he performed his solo orchestral debut in 2008 with the Roosevelt University Symphony Orchstra (Chicago, IL), playing the Nielsen Concerto. Studying under Thomas Robertello at Indiana University, James received a Bachelor of Music in Flute in 2009. He also earned a Master of Music in Flute studying under Joshua Smith at the Cleveland institute of Music in 2011.